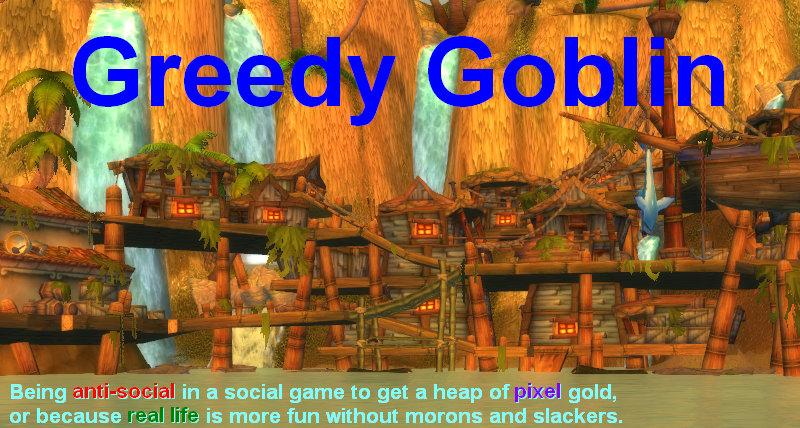 Greedy goblin: Why is highsec the most profitable? Why is highsec the most profitable? It is well known that highsec is the most profitable zone of the game in terms of active PvE (farming): This is obviously conflicting with the game design, so we must ask why and figure out how can it be fixed. The perfect example is the ore to mine. In nullsec the asteroids are larger and rare ores are present which are unknown in highsec. They supposed to be expensive, right? As you can see, the rare ores aren't significantly more expensive than the highsec available ones. (Mercoxite can't be farmed constantly). The reason doesn't lie in production, but in consumption. In highsec you barely have losses. In other spaces, often. The relative value of items are decided by supply and demand. Now, a highsec dweller doesn't consume much items, as his items don't explode. Nullsec players on the other hand have losses. Why does it matter? How can it affect incomes? 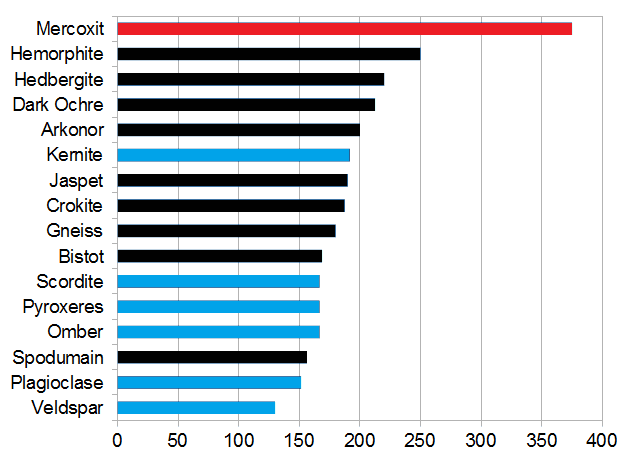 Imagine that initially the rare ores worth much more than highsec ores. Highsec people mine highsec ore, having low income. Nullsec people mine rare ore, having much higher income. They trade, as both kind of people need both kind of ores for their ships, modules and ammo. Now, the nullsec guy has losses, his ship explodes. To replace it, he goes to farm, mines more nullsec ore. On the other hand the highsec guy doesn't have to go on a farming trip as he lost nothing. So more nullsec ore is produced compared to highsec, therefore its relative value must increase. Every time the nullsec guy loses a ship, he farms even more nullsec ore, while his new ship also consumes highsec ore, increasing the supply of nullsec ore and increasing demand for highsec ore. The relative price of the two ores keep getting closer and closer until the point when it no longer worth the extra risk and care to mine in nullsec, the nullsec guy just starts a highsec alt for farming. The above is true for every kind of item. Moon materials, sleeper salvage, gas, deadspace modules, ISK (it's an item given as anom bounties) are all farmed outside of highsec, but the people farming them have to refarm them again and again to replace losses, while the highsec people don't have this problem. The constant dumping of these items decreases their price to the point where it's better to farm something else. In other words, the constant losses outside of highsec guarantees that farming effort gives the same income in every zones. How can this be fixed? Only by guaranteed income difference of the same effort. I mean if you do PI in a wormhole, you get about 2x more PI products than you'd get in highsec doing the same clicks. This is the good way, but the difference isn't enough, maybe 5x would work. What I'm telling is not certain content should be removed from highsec (like L4s) but their reward should be much smaller. Doing an L4 in highsec should be exactly as hard PvE-wise as it is in NPC null. But the latter should pay 5x more. Mining ore should be exactly the same in the zones, but the nullsec version should provide 5x higher yield. This way the nullsec guy doesn't have to trade with the highsec guy. He can mine his own veldspar for 5x more trit/hour. This, and only this could work. As long as there is item exchange, the price of effort will equalize. ccp's graph only shows that PRODUCTION happens in highsec. This has nothing to do with farming. It is "well known" that null entities move minerals (t2 moon mats, especially) out of 0.0 for production in highsec. Erm, i don't see game design conflict here. Before we introduce any player factor at all, the lower security zones are simply more profitable. When players are introduced, these zones become contested (and thus less profitable), but that's kind of the whole point. Eve has now reached what i like to call "meta level 2" where the fact that the zones are contested makes them less profitable than uncontested zones. I am not sure why that is a problem, though. It only becomes a problem if you are for some reason unhappy with concentration of players in lower security zones relative to higher security zones. I think CCP is pretty happy with that ratio, though. "Value destroyed in nullsec > value destroyed in highsec (as highsec doesn't lose ships)". Yet you destroyed more value than a whole nullsec alliance with WGBWC on your own... in highsec. So "value lost to a single guy in highsec > value lost to a whole alliance in nullsec"
If "nullsec income < highsec income" and "nullsec population < highsec population" - how can nullsec pay ship reimbursments? They shouldn't have the money if the above is true. How can nullsec renters who only mine ore pay billions of ISK for rent to their landlord if they lose exhumers and Orcas all day long? Why do nullsec miners mine afk (you remember that video you made a blogpost about... "What impresses Jester" or anything like that) if it is that dangerous and you need to spam dscan every second to not get killed? How will your suggestions change the fact that it is production, not profit that is shown in the graphic? 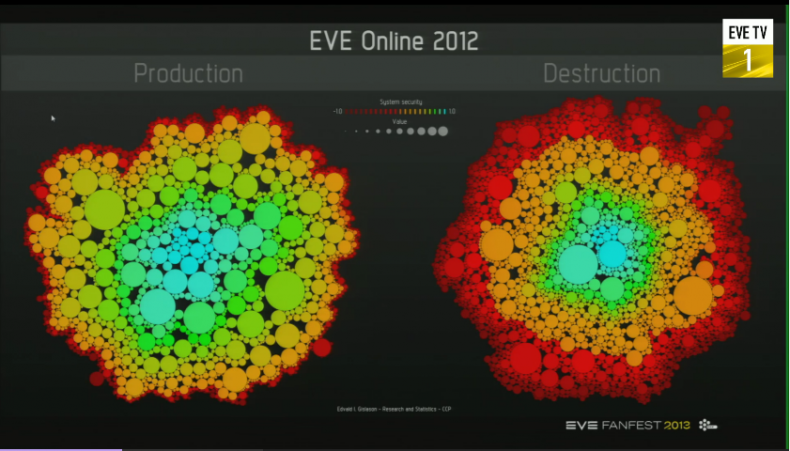 The graphic shows that high sec people build stuff, and null sec/low sec explode it. It says nothing about where people earn isk outside of industry. The minerals, and T2 components definitely do not come from high sec, but T2 is largely built in highsec. Jita is the trade hub, and most trade happens in high sec. You need to move that to null, as you cannot move it to WH. @Maxim: the problem is that the zones are contested mostly out of boredom/ for fun. This causes the "we didn't want this region anyway, just came for the good fights". A null region or a high-class wormhole should be a conflict driver, something players want to have. "As long as there is item exchange, the price of effort will equalize." yet you dedicate a whole post on nothing. cause there will always be item exchange in the game, which is a great thing about this game. of course different income schemes will always level. if you increase the amount of pi-mat in wh, wh farming gets more attractive, but on the same time highsec pi-processing gets more atractive as well. i just watched that evedownunder q&a with fozzie, and he states that ccp is totally fine with the isk income from nullsec. due to being allmost the only generator of pure isk (bounties) everything else within the game will naturally adjust to it. like real money, isk are not an item. you can't fit your ship with them, you can't eat them, you can't process them. nothing but earn and spend them. u fall for the same mistake many real world ppl are falling for. money is not a good. it's a tool to ease the transaction of goods - and services. "This causes the "we didn't want this region anyway, just came for the good fights""
when will you stop that nonsense? b) most sov alliances indeed are there for the region,moons,empty systems, whatsoever, why else do you think these cfc-pl treaties are made? unless todays post, and your recent comments are another leadup to yet another total embarrassment on the internet - which i highly urge you to keep on doing, as it's as entertaining as mittens propaganda nonsense. that ore/min prices are leveling, i think, is due to the last nullsec-industry revamp. the hidden belts (which aren't hidden anymore) now have a much larger amount of "common" ore, to decrease the need for highsec imports - which i find a bit boring, cause this game lives from it's economy, the urge to trade throughout the universe, the need to connect different regions for the exchange of goods, etc pp. 1. While Nullsec is where most losses happen, Highsec is where the BIG losses happen the most, because it significantly harder and costlier to gank someone, this causes most people to carry arround much more valuable ships on a daily basis. This applies to pimped mission boats and of course, freighters and other large scale transport full of valuable goods due to the presence of trade hubs. 2. Suicide ganking is much more predominant thesedays. If you compare it to mining in the dephts of sov nullsec, you are almost safer than being in Highsec hotspots. "we didn't want this region anyway, just came for the good fights". I believe this is an artifact of game's sandbox nature. Most high-end players have mastered the sandbox to the extent where they are both rich and capable of preserving their riches against anything the game can throw at them. As a result, they don't truly "need" anything and everything is "for fun/boredom". Now, i don't see this as a problem. Games in general are played "for fun / boredom", so Eve is just fulfilling it's purpose as a game in this case. That being said, if i really wanted to fight it, i'd implement some sort of way to pressure the really high end players into constantly maintaining their wealth against some manner of entropy mechanic. "You have to run very fast just to stay in place" kind of thing. You dont seem to be aware of the mineral requirement for industry. by the time a miner mining veldspar got the amount of tritanium needed in one rokh, a miner mining arkonor got enough megacyte for 10 rokhs. Hence, if the amount of miner in nullsec is more than a tenth of the amount of miners, high-end ores are overproduced. I've been in nullsec 6 months and have only lost a ratting ship once, and that was to an awoxer. The idea of nullsec being more risky is a total hoax, especially with mobile depot. The destruction will be mainly of alliance/reimbursable assets which has no impact on the individual, unless they are skimming the alliance wallet. I may have come up with a mining solution. Make two classes of mining tools. One has relatively low proceeds, but is legal to use according to highsec rules. The other has high proceeds, but due to enviromental concerns, it's illegal to use and the police won't protect you if you use them. That way, people could hunt miners without having to worry about losing their ships, and you'd only be safe mining if you used the legal tools. @Unknown Environment? In outer space? What, are you going to polute the void?????? Really????? And blowing up your ship will be environmentaly safe??? We all know. closedown highsec and EVE will be closed with it. how about insane durability. ontop of that in highsec you lose tons of it on your items. in lower sec you lose nearly none. the nullsec bear doesn't care he undocks prepared to lose whatever he has. And the durability loss is insignificant too. the highsec bear will cry after some L4s and jumps. rage quit & delete game. Or try L4s in low or null for a change. this would affect everybody. introduce items to use the market. and even the station traders will have something to rage about or build NULL-hubs. This system could even be implemented with the existing system security status. A 1.0 system would be the baseline (0x multiplier) and a -1.0 system would be max multiplier. This would make systems truly valuable to own and fight for. The multiplier could be applied to all activities: ratting, missions, mining, moon mining, PI, production, invention, research, etc. So, no matter what activity you wanted to do, you would want to do it in a -1.0 system if at all possible. As an alternative to a multiplying bonus, have a known bonus of 2x with the % of chance being what is affected by the system security status. So, a 1.0 system would have a 0% chance of doubling the activity and a -1.0 would have a 100% chance of doubling the activity.